Spending time in the outdoors has always been a passion of mine. I grew up in the Kawartha Lakes region of central Ontario and spent much of my free time fishing or exploring local forests. After completing my post secondary studies, my career path led me to Ottawa, Ontario. 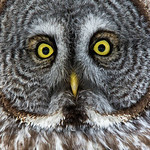 The majority of wildlife images on my website were photographed in eastern Ontario and especially Clarence-Rockland. I am humbled when my work is recognized and I have been very fortunate to have my work published in various books, magazines, museum and nature displays and online libraries. Currently, I live near a small town, Rockland, just east of Ottawa with my beautiful family. Thank you for taking the time to browse my website. I hope you enjoy your visit. Please contact me if you wish to use any images for educational or artistic purposes. Flash: Canon 580 ex II; Nissan Ring Flash. Tripods and Other: Manfrotto 055x with Jobu Jr.3 Gimbal, Manfrotto 496 Ball Head, Kenko Extension Tubes, Various Filters (ND, Pol., UV, ND Grad) Black Rapid rs-4 Sling Strap. All images on this site are copyright © Bill McMullen All Rights Reserved. These images may NOT be edited, copied, reproduced, printed, distributed, displayed, or used in any way, in whole or in part, without my permission. These images are NOT public domain.